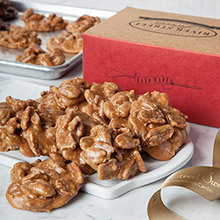 When you visit a River Street Sweet store you'll be drawn into the candy-making experience, whether it's watching the sweets being made, chatting with the creative cooks or sampling new and old favorites. The aromas wafting on the air tell the world that this is a special place. Come in and be delighted. People always leave with a smile and we're happy to have made some new friends. 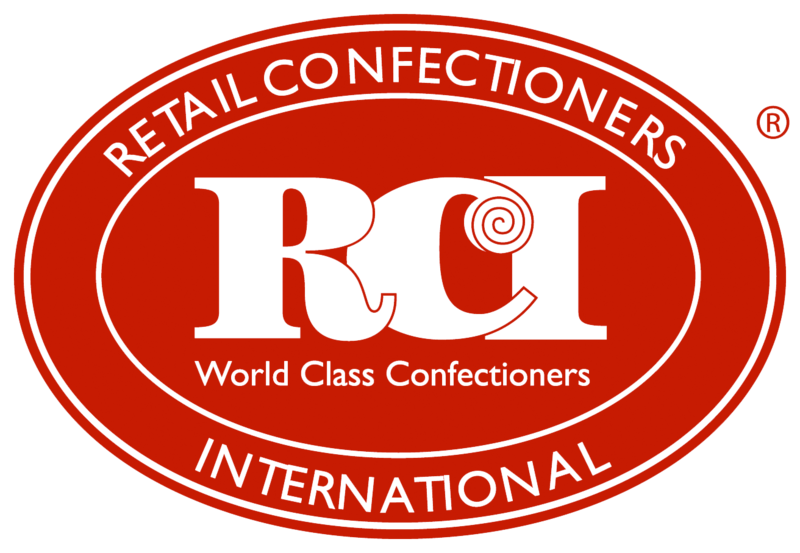 We've been in business in Savannah since 1973 and since that time we've expanded to Atlanta, Charleston and Myrtle Beach as well as our online store. 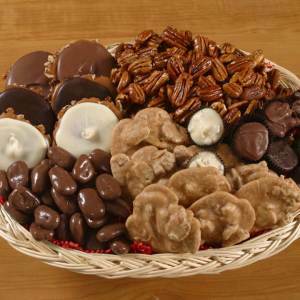 We're consistently voted as "Savannah's Best Candy Store" and that's something we plan to maintain. 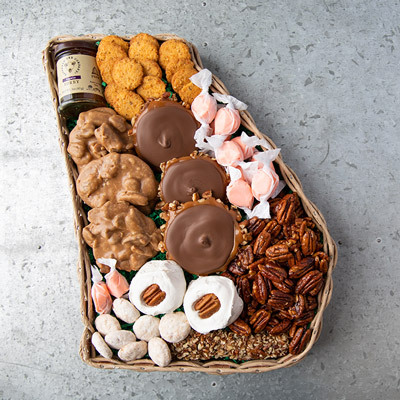 Come visit us soon but if you can't make it to one of our stores in Georgia or South Carolina, you can still get a taste of the sweet life from our online store and Send a Gift Basket today. 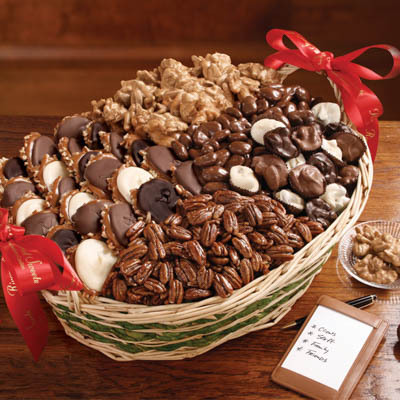 A Southern candy store. Can there be any sweeter words? 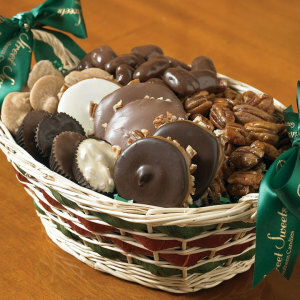 Not to us or to our loyal guests who return to us for the high quality candies and Gourmet Gift Baskets we make every day. 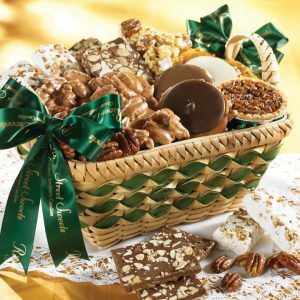 What started out with our "World Famous Praline" recipe has now grown to include such sweet delights as Chocolate Bear Claws, Glazed Pecans, Log Rolls, Sugar and Spice Pecans, Taffy and Caramels. 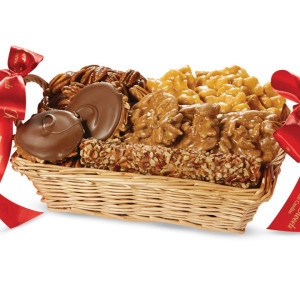 Imagine the smiles you'll create when you give a Gourmet Gift Basket for a birthday, anniversary, housewarming, graduation, holiday or any time the occasion calls for something special. 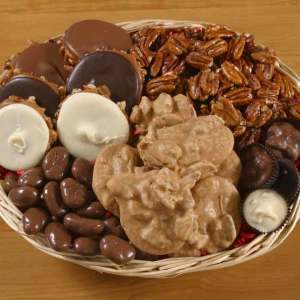 And of course we use only the highest quality, freshest ingredients including butter, chocolate, cream and pecans. We love to experiment with new flavors too but there's one thing that will never change and that is our commitment to high quality standards. 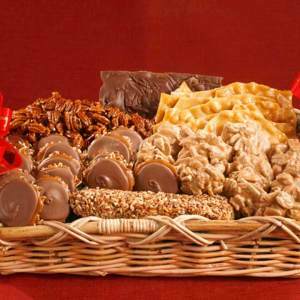 We're in the business of creating delicious sweets and candy gift baskets enhanced by an engaging experience whether in our stores or our online shopping and Gift Basket Delivery service. 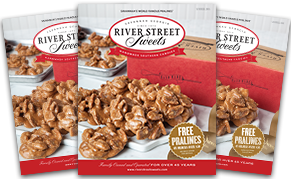 When you visit River Street Sweets, you'll be guaranteed an amazing experience complete with old-fashioned hospitality and plenty of treats to sample. 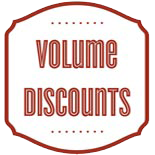 Since day one, we have been fanatic about guest services and only the highest quality products. Our unconditional guarantee means that your complete satisfaction is our goal. Our goal is simple. "Love it or we'll make it right with a refund or replacement." Because when it comes to our guests, only the best will do and that's something that will never change. 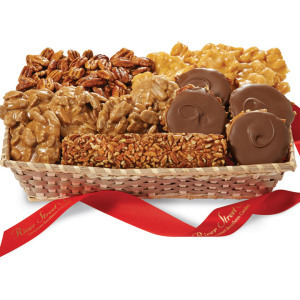 Celebrate all your special occasions with our great selection of versatile, best-selling Grab Baskets and include your own custom gift message to make this sweet gift even more personal. 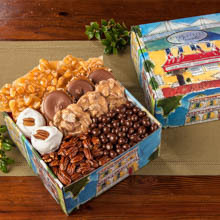 Whether it's a birthday, graduation, thank you, or other special occasion, you can depend on River Street Sweets to provide the best handmade, Southern candies with impeccable presentation and quality. 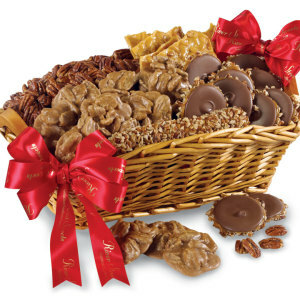 Talk to our Corporate Gift Specialists about your upcoming office party or corporate event needs as well. 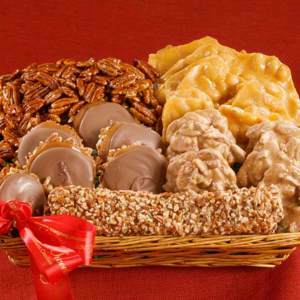 We specialize in making every occasion sweet!